In this tutorial, I will show you how to transform boring landscape pictures to vibrant and beautiful images in Lightroom in quick and easy steps. I will show you the real benefits of using the RAW image format and just some of the possibilities it gives you to non-destructively enhance your photographs without ever leaving Lightroom. I personally use this technique for post-processing my landscape photography all the time and I hope you find it useful. If you are still shooting JPEG and you are not sure why you should be shooting RAW, check out my “RAW vs JPEG” article. This tutorial will only work on RAW images, so make sure that you are picking a RAW file before attempting to follow the steps. Lightroom will not let you change white balance or color profiles on JPEG images and although you can tweak some things like color temperature and tint, I still do not recommend messing with those. If you want the best image quality and the most options for post-processing, you should be shooting RAW. Much better! Let’s play with camera calibration now. If you are getting frustrated with Lightroom, because the image you load from your camera looks different than the image you saw on your camera’s LCD, then you should definitely check out the “Camera Calibration” menu option in the Develop module of Lightroom. Camera calibration profiles were introduced to both Lightroom and Photoshop by Adobe in order to be able to produce more realistic colors while reading and displaying RAW images. These profiles also try to mimic your camera’s profiles such as “Standard” or “Vivid” and generally do a pretty good job in matching the colors, shadows, and RGB saturation levels. When you originally import RAW images into Lightroom, they get converted to the standard “Adobe Standard” camera profile, which looks rather pale, especially on Nikon RAW images. For landscape photography, I find that the best color profiles are either “Camera Standard” or “Camera Vivid”, depending on vivid I want the image to be (if you have a Canon DSLR, you might not have a “Vivid” color profile). Wow, what a difference! Everything looks so much more colorful and truly vivid! 4) Make that sky bluer! Nice – more blue in the sky against some yellow sand are mixing well together in one picture! Yes Nasim bro I did it….. I took a few pictures in RAW and was able to process them in lightroom and found the results to be much much better…. Since I am using a Canon the Camera calibration is at “Standard”. Thanks once again bra. I will henceforth shot only in RAW. Very nice Hissain! I’m glad it worked out for you! Nasim, you’ve done it again. Simple, straight to the point. Thank you! BTW, the snow is melting and the birds are returning. Shouldn’t be long! Yeah, I’m looking forward for a good birding season this year! I have Lightroom 2.6 and Photoshop CS4 Extended. In ightroom. I don’t see ‘vivid’ but ‘standard’ only. Where in CS4 is the camera calibration located? Your totorial is very easy to follow. Thank you! Pauline, if you cannot see “vivid”, you are most likely shooting with a Canon camera. In that case, just use “standard” and simply increase contrast and saturation a little bit, to get a similar effect. In CS4, when you open a RAW file, you will see a Camera Raw window open. Click the camera icon (Camera Calibration) and you can select the camera profile by choosing the profile under “Name”. Astley, thank you! I’m glad that you found it useful. Please let me know if you have any questions. I´ll try it! Sounds great! Ralf, please let me know if you have any questions. Your tutorial is very clear and useful. Thanks a lot. Christophe, thank you and you are most welcome! May I ask how you found this article? Excellent article, Nasim. I found it through Facebook where Adobe Photoshop Lightroom was linking to it. Marianne, thank you for your feedback! :) Please let me know if you have any questions. Vesa, you are most welcome! Thanks for stopping by and please let me know if you have any questions. You rock! Top work champion. Very helpful!Wish you can make this into a page I can print off!! So I can always go over it again when I have lightroom or CS4 open! Sandi, you are most welcome! :) I wouldn’t do the above steps on all pictures, but it gives you an idea of a simple digital workflow and color profiles. Please let me know if you have any questions and good luck with your photography! I’m currently using Aperture 3 on Mac for organizing my photos. Do you have any idea if is sufficient for post-processing image? Dennis, I have heard that Aperture 3 has some stability issues on both Mac and PC platforms, i.e. it crashes every once in a while. I personally like Lightroom better, but it is truly a personal choice. 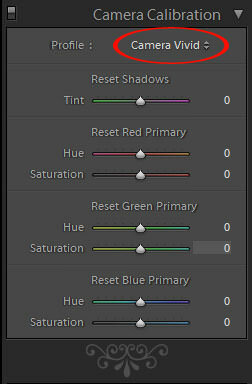 I like the fact that Lightroom integrates with all Adobe products very easily and has full support for DNG format. On the other hand, Aperture is actually faster than Lightroom and is a little more intuitive. Either way, both are equally good for post-processing images. Nasim, you’re quite right on Aperture 3. This software will shut down by itself once in a while. I experience 3 times in 5 hours. Now I just hope they better off fixed this bug! Nice tutorial. Now I finally get the HSL panel and how to affect just one color. Thanks. Marsha, you are most welcome! Let me know if you have any questions. Sarah, you are most welcome! Thanks for stopping by and dropping comment. Yes, Peter Lik is awesome, I really love his landscape work. Nasim, I ran across your website and threads while Google searching for “d300 vs d90”. I have spent the last 2 hours reading, studying and learning from you and others who have posted comments about much more than that! From lenses to filters to post processing as well as enjoying your and your wive’s images. I just wanted to give you credit and compliment you on your photography, website and also on your patient and kind instruction, which is clear, concise and very informative. Thank-you! I am bookmarking your page for future reference! Fitfran, thank you so much for your feedback and kind words, we really appreciate it! Please let us know if you have any questions. Thnx, very useful as usually. It’s a pity that there is no vivid profile for Canons. Anyway, I wanted to ask what kind of lenses do you use for your landscape pictures? Should they always be lower than 20 mm ? Yes, I agree – Adobe should develop a vivid profile for Canons as well. In terms of lenses, I use a variety of lenses, including: Nikon 24-70mm f/2.8, Nikon 16-35mm f/4.0 VR and Nikon 70-200mm f/2.8 VR II. No, the focal length does not always need to be lower than 20mm. In fact, if you are shooting panoramas, you should shoot with a lens that is not too wide or the images won’t stitch together perfectly. I am using ACDsee pro software for my photos prcessing. Has anyone been using this program before? Any opinions? Dimitrios, I use ACDSee for viewing JPEG images and sometimes even RAW when I need to quickly identify bad images and delete them. Nasim, Thank you for the excellent tutorial. I seem to have so much trouble with Lightroom and it can get frustrating at times, I overcome one thing then something else happens that I don’t know why. You are most welcome Patrice! 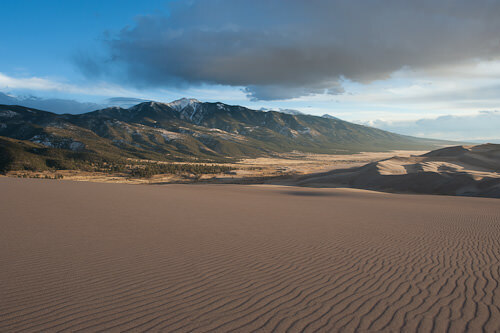 Keep playing with Lightroom – once you learn how things work, it will get much easier to use. More of a general processing query rather than limited to landscape post-processing, but have you ever used “all on one” solutions such as Athentech’s Perfectly Clear? And if so, what do you think of them? Wonderful Tutorials Nasim! Thanks for sharing your Knowledge. Always liked photography and finally purchased Nikon D5000 but still didn’t master it well. Hi Nasim, I’m trying to follow the same steps you took for enhancing a landscape picture, but I can’t see anywhere the white balance options shown here. I´m also using Lightroom 3. There are only 3 options given: as shot, auto & custom… and that’s it, I try to click on custom to see if it’s there, but there are no more menus. 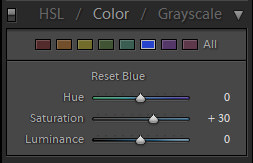 Do I have to change a setting somewhere else to see all the other white balance options? You don’t see it because the image isn’t a RAW image. Not all options are available if not using RAW, the full white balance being one of them. Thank you for your time and generosity sharing so much and useful information. In order to shorter my workflow avoiding the use of CNX2 I have tried different settings in LR to get the pictures to the level CNX2 leave them but that is just not possible to me. Please be aware that CNX2 is a very different product with respect to the original Capture NX (is not an upgrade), meaning that if you had a bad experience with CNX you have to give a try to CNX2. I think Nikon have some not known insights on their raw format which are taken as advantage in CNX2 (made to Nikon by Nik Software). Considering all what I said, I wonder why I hear so little about the use of this product among the nikonians in general and also the readers of your posts. Nasim, Have you had some experience with CNX2 ? Salute you for this splendid tutorial. You make it so easy. Thanks a lot. I love reading you articles it is very clear and informative. I just want to ask your opinion if it is ok or advisable to use Nik Software’s Color Efex Pro during post process. I use it on my shots i just dont know if it is ok or its like faking the shot. I only do color adjustment, u just love their presets and played with it. Thanks! Very useful tutorial and thank you. My L/R 4 shows only Adobe Standard under the camera calibration. I can not get camera vivid or standard. In my case my camera is Sony NEX-7. Great article. This tutorial can’t be more simpler. Sire, thank you for that. That ‘Camera Calibration’ will help me a lot. Really interesting article Nasim, I have both Lightroom and Capture NX2, would you stick to NX2 and their RAW files or switch to lightroom? I some times use both and seem to get confused as to which is the better. Great writing easy to understand articles, thanks! Having said that i want to know your thoughts on one thing, as a designer one can easily retouch and make any boring photographs look better than what it is. Post processing is good and is needed to a limited extent. Maybe some alignment and exposure correction, brightness contrast….and nothing beyond that. If we are not able to get photos almost to what is desired within in the camera and end up doing more of post processing then the person should be called a graphic artist more than a photographer! I don’t know if you are still monitoring this thred but if you are maybe you or someone could answer a question for me. I’ve been an aperture user for a few years now but there are some features in LR that I like so I’m trailing LR4. When I want to adjust the white balance I only get three options. 1 as shot. 2 auto. 3 manual. Has this changed since previous versions? And second, in camera calibration I don’t get a choice of standard or vivid, only 1 option? Nasim, I don’t get to check your site often as I would like to, it is blocked at work (all hobby/blog/social networking sites are blocked). When ever I do, I learn something new from PL and most importantly, I ‘connect’ with your site like no other. The reviews are informative, authoritative and also fun to read without the overhead of heaviness other review websites drown you with. There is a a very casual & fun feel to your site. The pics are spectacular and inspiring and challenge my curiosity. I actually bought the 35mm F1.8 Nikkor after reading your comparison article and I am totally enjoying shooting with this gem of a lens on my D40. So, a big THANK YOU for the great work and the countless hours you guys are putting in! Cheers and good luck taking the site forward. How about the HDR/DRi tutorial? SUBJECT: in-camera Scene Capture Type vs. 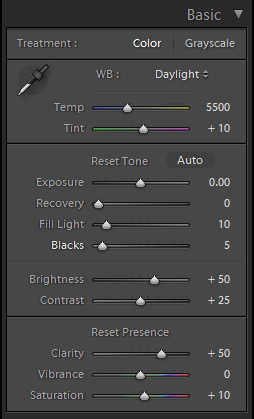 Profile in Lightroom’s Camera Calibration panel. As I think you all know, shooting in Neutral or Standard modes usually results in having more Dynamic Range detail stored in the raw values, mainly in the dark areas of the image. 1 – If we set the camera’s Scene Capture Type to -say- Standard, this means that the raw values stored will be different from -say- Vivid? 2 – If we shoot in “Standard” mode, SHOULD we set the Profile to “Standard” in Lightroom’s Camera Calibration panel and start editing from that? 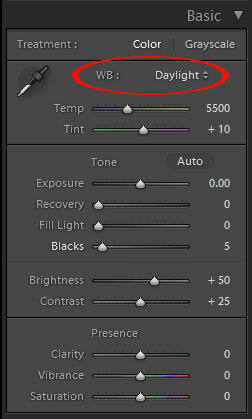 3 – If there is no relation between the Scene Capture Type of the camera and Lightroom’s Profile in Camera Calibration panel, AND since we can change White Balance in several ways (via Basic panel and/or via HSL panel), why should we care about the Profile in Camera Calibration panel in the first place? And, if we SHOULD care about this (because of the different Dynamic Range values stored), so shouldn’t we edit on the same profile for the same reason? 4 – Unless we shoot with a X-Rite’s color calibration passport (and do all the other adjustments accordingly), I don’t see any advantage to even look at or change anything in the Camera Calibration panel in Lightroom. Honestly, for what I’ve been reading for the past weeks, my conclusion is IF YOU DON’T SHOOT WITH A COLOR CALIBRATION TARGET it’s easier to ignore the Profile in the Camera Calibration panel and change the WB in the Basic/HSL panels accordingly BUT always (!) shoot in Neutral mode to get more Dynamic Range. Concerning the set on the camera, Lightroom doesn’t show this setting on the EXIF on Library module » Metadata panel » EXIF dropdown menu. So you won’t be able to know which scene capture type mode you used on the camera UNLESS you have Bridge, on Camera Data (Exif) panel or any other program that shows it. On my previous post, I start with “Concerning the set on the camera”, but I meant “Concerning the Scene Capture Type set on the camera”. I am new to post processing in Lightroom and was wondering whether you have the sample images (RAW) to follow your tutorials. Thank you for your time and information. Bless you! Hi, Nazim. For many years I enjoyed your website. THANK YOU ! Great tutorials , advices, learned a lot. I need your help with adobe light room 6. It just stopped working, I can open it but when I m trying any menus, it gives me a message : the program is not responding. Cannot contact adobe help line, waited for 45 minutes, no one answered my call. Please help, you are an expert and your advice will be greatly appreciated.